For some projects it is crucial to know what changes are made by system users. Not just the sheer fact that a change has been introduced is of importance, but specifically what was changed, when and by whom. In this workshop we will look into implementing such a functionality. 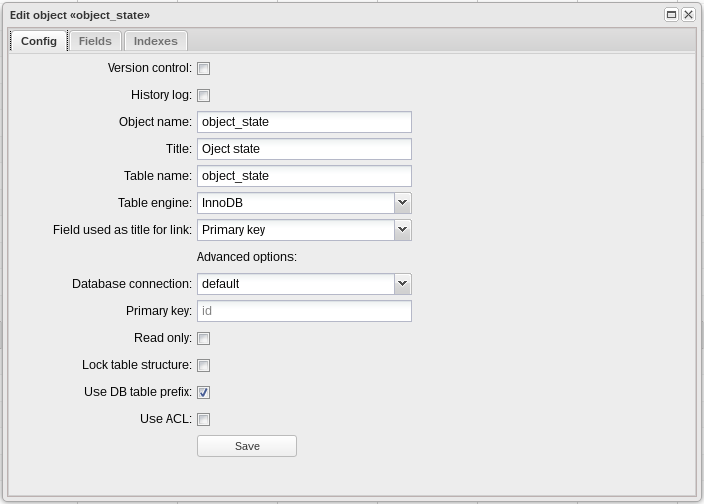 Please note that only DB_Object changes will be logged. Manual updates are not recorded. Add the following indices: object_name, datetime, object_id. Now, it is time to define at what moment changes will be logged. Db_Object_storage triggers best suit this purpose. There are onAfterAdd, onAfterDelete events, as well as the new onAfterUpdateBeforeCommit event (added in DVelum 0.9.3), which comes into action when object data has been saved to the database, but the change has not yet been committed to the object. It is that very moment when we can learn both the previous and the new state of the object. 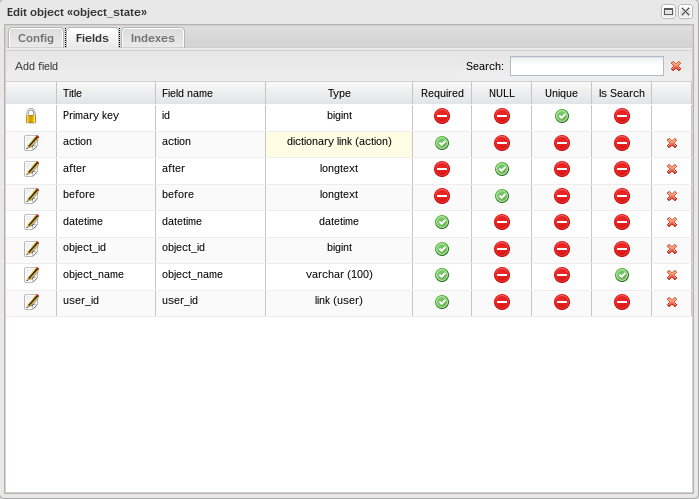 after - an array with all field data (field name is the key). 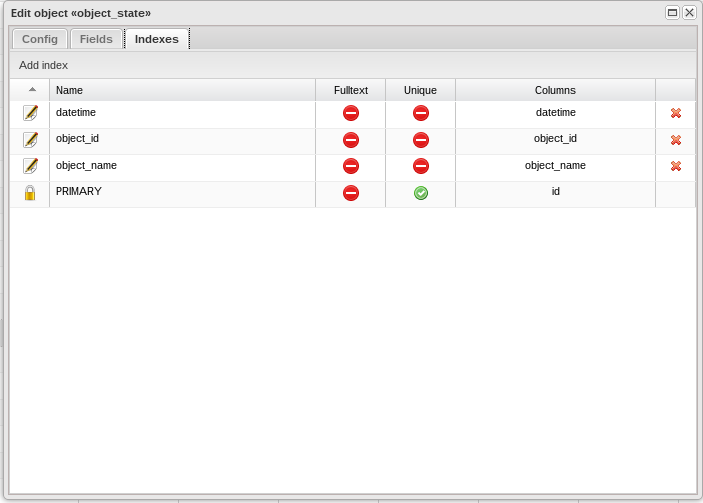 after – an array with updated fields only (field name is the key). 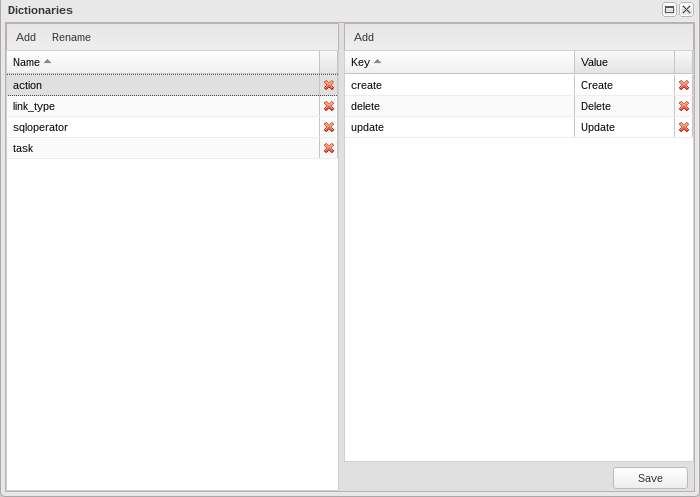 The logging functionality is ready to use. Now, using the Layout Designer, you can create an interface that makes working with the data easier.